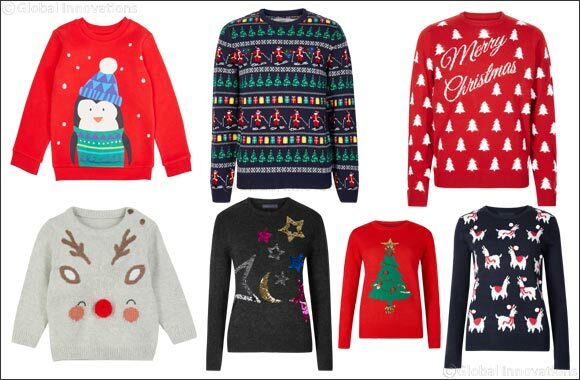 Dubai, UAE, November 04, 2018: Join in on the festive fun and guarantee smiles all around with a warm and witty Christmas jumper from Marks & Spencer. Stay merry and bright with styles for her, him and the kids that can be worn on Christmas jumper day, December 14th and throughout the whole festive season. The customisable Christmas Tree Jumper is sure to be a hit, with extra add-on decorations for some super festive fun. For a little added sparkle, Marks & Spencer has an array of sequin jumpers to choose from, including bright and shimmering stars to make you glisten under the light, to delicate sequined mistletoe designs for a sublte touch. This Christmas, there are plenty of bright colours and bold embellishments to make you stand out from the crowd and with Marks & Spencer's machine washable wool, you can spoil yourself without having to worry about time-consuming hand washing. With Christmas just around the corner, tis' time to be jolly in your jumper. Next Story : American Dream: a Capsule Collection Celebrating Guess' Iconic Heritage! !